One would logically think that is what it means but the display model in Paris was a loaded 450 and the tips were fake. Agree. It may be just a slightly more vocal exhaust. Possible, but not likely, is it's an active exhaust with controlled valves. Correct, however perhaps there could be a distinction between Euro and NA models. One can only hope. The German site doesn't say anything about a sport exhaust or sports brake system as noted in the US package, so it's not out of the question. I posted about this a few months ago. Could be useful for finding locations without addresses. 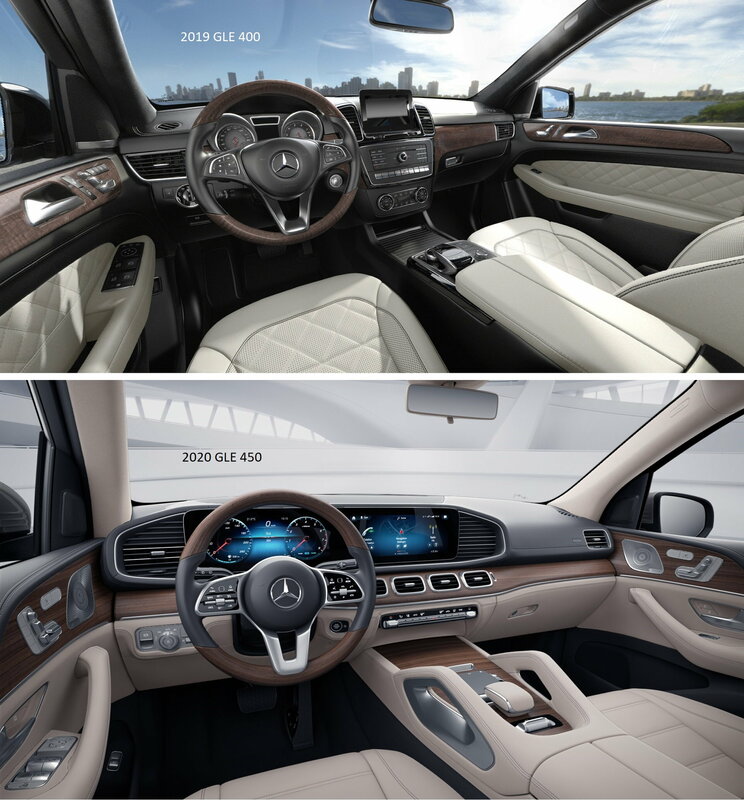 Seeing the GLE in so many different colors and trims was very helpful. Thanks for the post. I keep going back-and-forth about E-ABC. At $8100 I wonder how much of a difference it will really make in everyday driving compared to AIRMATIC? not much but cool tech nonetheless . I'm in the same situation and have removed it & put it back twice. If you like to drive the twisties fast the curve feature would be really neat to have. Since you trade often you could add it next time. It will probably be worth less than half of the cost in 2 years for book value. I have currently decided to go just air unless I can wait to drive one before I order....that might change my mind. My other issue is the brown color. It looks like a lighter brown in some pictures and I wouldn't want it if a light brown. not much but cool tech nonetheless. Depends on your "everyday" driving. I think it will make the road smoother in terms of reaction to potholes, speed bumps, railroad tracks, etc. for normal daily driving. On the sporty side, it should make a huge difference for handling when the road gets curvy (I know the Dynamic Handling on my '12 does). Most won't use the offroad features but they are there. I'm getting it. I'm in the same situation and have removed it & put it back twice. If you like to drive the twisties fast the curve feature would be really neat to have. Since you trade often you could add it next time. It will probably be worth less than half of the cost in 2 years for book value. I have currently decided to go just air unless I can wait to drive one before I order....that might change my mind. Funny you should mention trading often. I may end up trading it after a year or so for an AMG 53 so I may be better off not going with E-ABC for this one. I should wait on the 53 but I'm impatient. My other issue is the brown color. It looks like a lighter brown in some pictures and I wouldn't want it if a light brown. Do you mean the Espresso Brown? If so, it is not a light brown, it's definitely a darker brown. From the outside view, they're very similar and both are great looking. From the inside, the old one was really outdated, while the new one is much more modern and tidy looking. I still don't like the way they integrated the MBUX screen into the dash and really dislike the fake air outlet on the right hand side of it. Funny you should mention trading often. I may end up trading it after a year or so for an AMG 53 so I may be better off not going with E-ABC for this one. I should wait on the 53 but I'm impatient..
My thoughts exactly....I saw one rumor (maybe wishful thinking) that the 53 might be introduced at the LA Auto Show. It’s not on the current list though. It would be nice to have the 53 features announced before blowing a wad of $$$ on a 450 and having buyers remorse. On the other hand waiting 6 months isn’t good either! Night Package? I've ordered most of my cars in flat black. Considering Obsidian black for this one to hold back the swirl marks. What benefit / changes will I notice with a Night Package have on a Black car? I also plan on the AMG Line Exterior. Airmatic - Drove it in the GLS 450, I didnt love it and have not encountered a W166 GLE with the option on a dealer's lot. I'm looking for a firm / sporty suspension in the model of the Audi Q7 if that makes sense. #2. I’m ordering it for both the noise factor and the heat reflecting properties. As windshields get swept back plus Pano sunroofs there is just more solar heat generated inside. In most states it’s illegal to add Ceramic or similar blockers to the windshield and front side Windows but I had to do it to our Audi and haven’t been stopped yet. I’ve noticed that a very quiet car in town isn’t so quiet on the highway even with air suspension and dual pane glass. At this point it’s a “guessing game” until we can get our hands on them. Maybe a professional review will touch on it soon. #4 The 21”s are nicer looking and should work fine if you are OK with the limited replacement tire selection. The AMG wheels are 10” on front and 11” on the rear, 20’s are 9” front and back so can be rotated. I’m going to the 20 and will run the factory ones with a winter tire and buy a nice aftermarket to run with the OEM tires. Last edited by Ron.s; 11-17-2018 at 09:06 AM. Where are you located? Add in User Control Panel/Edit Your Details/Additional Information/Location. 2. I wouldn't get it for the sound, but if you live in a very hot area might be worth it for the heat rejecting windshield, although that is a look you either like or don't. 3. I like Airmatic and there is a Sport setting to make it extra tight. You do get load leveling, and the ability to raise and lower the car. I've actually never driven the steel spring version since my '98! 4. I think the beefiness and scale to the car of the 21s will be nice. As JoeMa says, the downsides of the 21s are more expensive tires, more unsprung weight and the inability to use Winter tires on the same rims. Last edited by GregW / Oregon; 11-17-2018 at 10:44 AM. We're going to the Tampa International Car Show today. If they have a GLE450 on display, I'll take plenty of pics and post them. 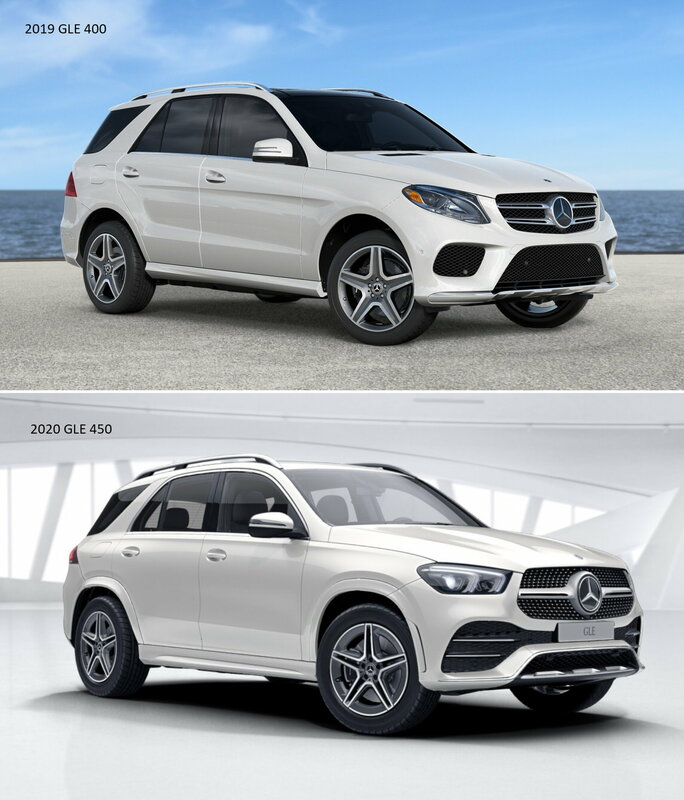 I remember when the GLC was about to be released, it was there at the show before it was released. I hope it's there today. Thanks for that visual of the night pkg! I forgot to go to the Konfigurator site. I definitely prefer the bright work on a black car. My S4 is configured that way and it makes it pop. Im in the Philly area and I have always rotated between sets of summer / winter wheels & tires on my A4s and S4. Not sure what I would do with the GLE as I’ve never daily driven an SUV before. The staggered wheel setup of the 21’s are giving me pause. Agree with the bright trim. In you area, and even mine, a set of dedicated Winter tires is a good idea. All Seasons are no substitute even with all wheel drive. I just got word from my sales rep that my car is scheduled to be built at the end of February. I ordered it on 11/7, the first day possible. Nice. Did he mention if they received any additional allocations?